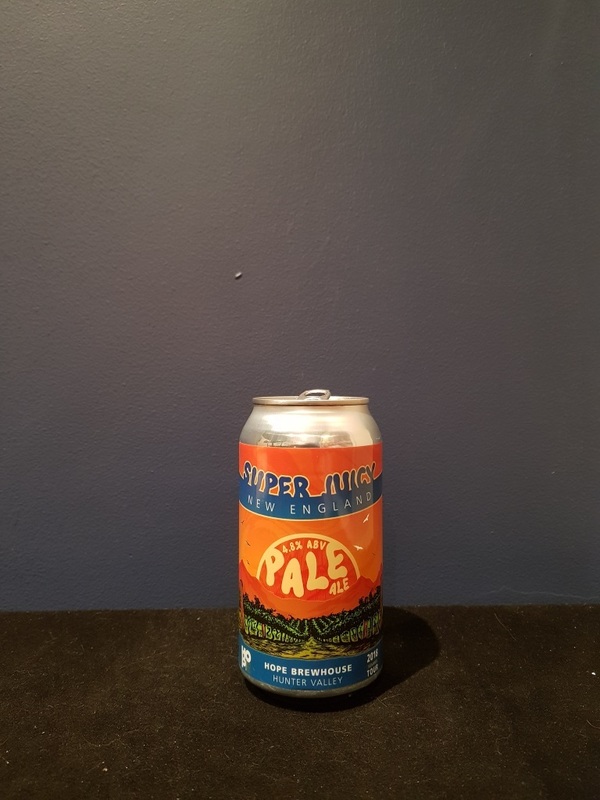 Beer #2701 is a pale ale brewed by Hope Brewhouse in Hunter Valley, N.S.W., Australia. This one reeks of tropical fruit upon cracking open the can, but not in a bad way, it’s extremely enticing! Taste-wise it’s just as good, tangy and citrusy, with grapefruit, mango, some lemon. Bitterness is low but it doesn’t need it. My first from this brewery and I’m looking forward to trying more. The bottle size is 375ML with an alcohol content of 4.80% (containing approximately 1.40 AU / 1.80 UK standard drinks), and it costs $8.99.